Sports Stadium are one of the most popular worldwide attractions for people of all ages and genders and it has been like this for centuries. No wonder stadiums themselves have become an attraction, getting bigger and better with time. 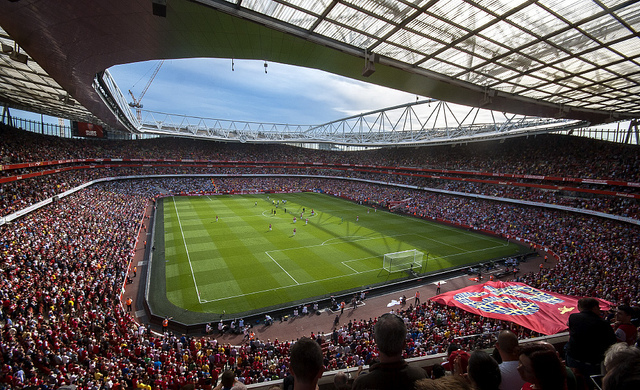 Here are top 10 largest sports stadiums in the world. 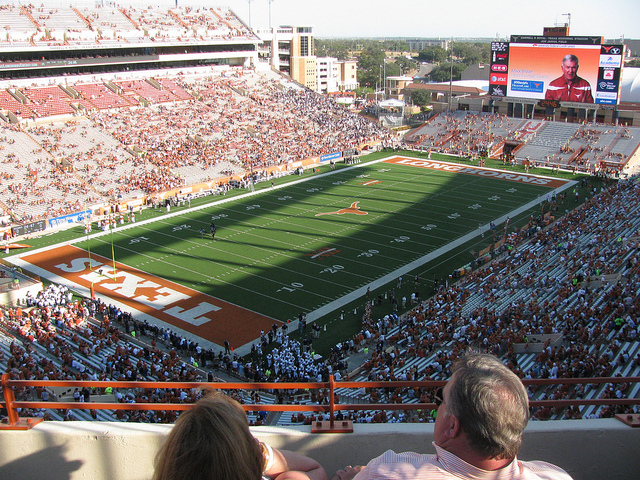 The Darrell K Royal Texas Memorial Stadium is one of the most appreciated American stadiums. Located in Austin, Texas, the venue opened in 1924 and is the 6th biggest college football stadium in USA. It is mostly known for offering an unbeatable home field advantage for the Austing Longhorns team. Darrell K Royal Texas Memorial Stadium is dedicated to the Texans who fought in World War I.
Bryant-Denny Stadium is another reputable college football venue in the US. Located in the University of Alabama campus, the stadium was completed in 1929, when it had only 12,000 seats. It’s the 5th largest stadium in the USA. 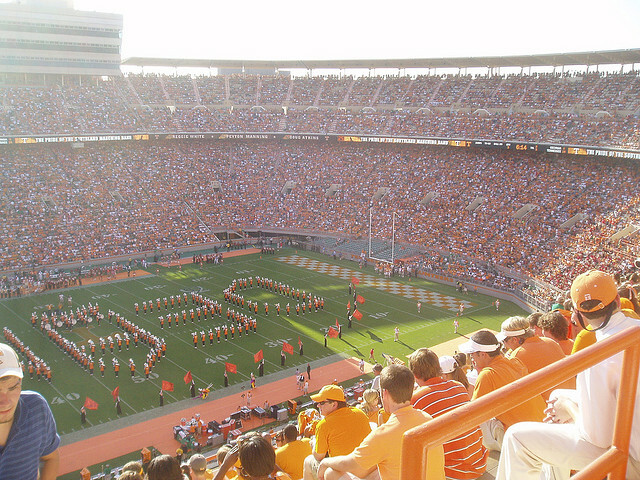 Neyland Stadium is an imposing sports stadium located in Knoxville, Tennessee. Aside from the Tennessee Volunteers football team games, it also hosts big conventions and NFL exhibition games. The venue, opening in 1924, is the 4th largest stadium in the US and has been ranked no. 1 stadium in college football a few times. 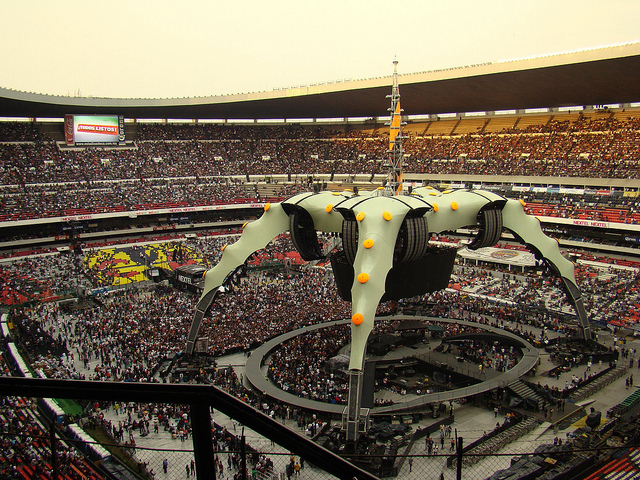 Estadio Azteca is a record-breaking, impressive stadium located in Santa Ursula, Mexico City. The Mexican venue, opened in 1966, is the only stadium in the world to have hosted the FIFA World Cup Finals twice. The most memorable event that happened here is the quarter-final game between Argentina and England in 1988, when Maradona scored the “Goal of the Century” and also the “Hand of God Goal”. It is the 3d largest stadium on the American continent and the largest in Mexico. Major concerts have been held here as well. 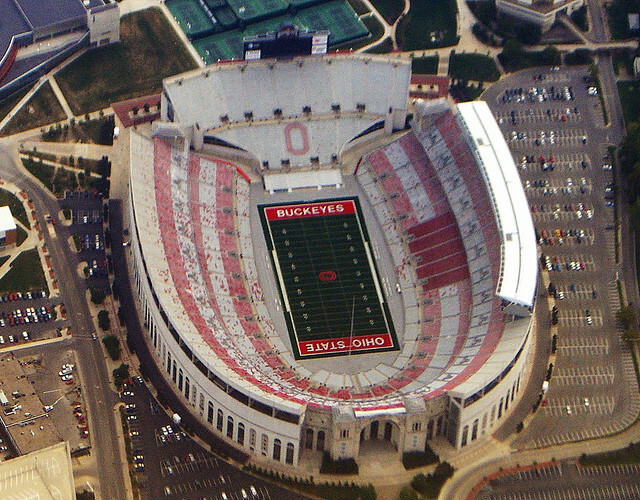 Ohio Stadium, popularly known as “The Horseshoe”, is a stadium located on the campus of the Ohio State University. The 1922 venue has hosted numerous famous games, given that Ohio State football is renowned for its good athletes. 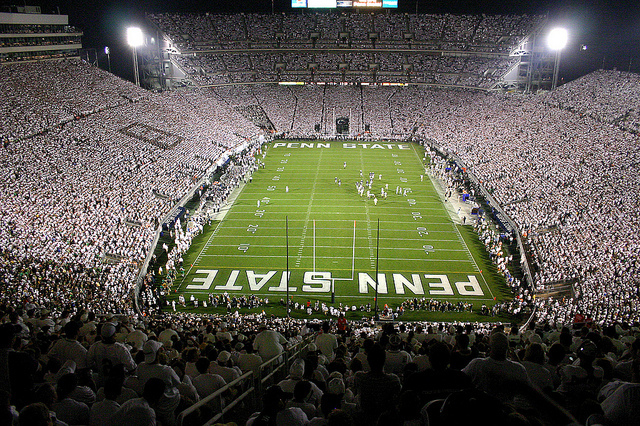 Beaver Stadium is an American college football located on the University of Pennsylvania campus. This outdoor venue was built in 1909 and named after a former governor of Pennsylvania. The stadium is known for its high-level collegiate athletics as well. A nice touch is its rural setting. 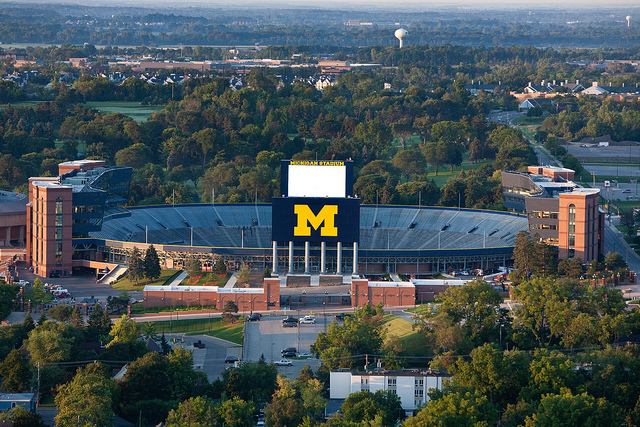 Michigan Stadium, also known as “The Big House” is the biggest stadium in the US. Built in 1927, the football venue also hosts University of Michigan events. The Michigan players are elite players, which is part of the reason why the venue holds attendance records for both football and hockey games. Salt Lake Stadium is the biggest sports stadium in India and it’s located in Bidhannagar, Kolkata, West Bengal. The venue opened in 1984. Aside from football and athletics, it also hosts dancing events and music concerts. 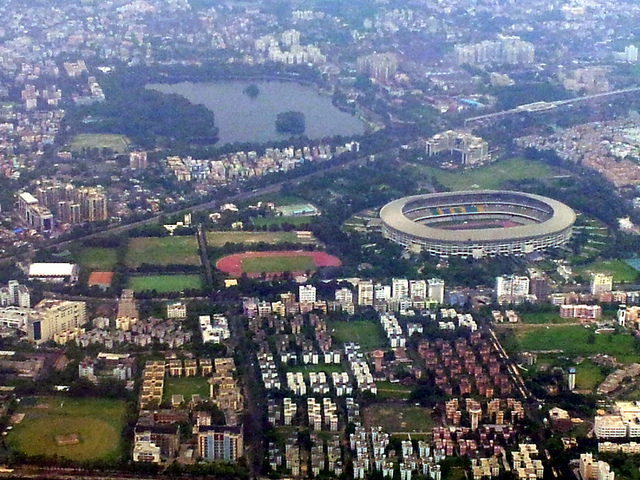 The national football team of India often has its home games here; a lot of international matches are hosted by the Salt Lake Stadium as well. It is often the case that the fans become very feverish and recur to violence. The Rungnado May Day Stadium, located in Pyongyang, North Korea, is the biggest stadium in the world. Sporting events in football and athletics are well known, but the stadium is most famous for the extravagant parades and mass games played to honor the North Korean leader, Kim II-sung. The venue was completed in 1989. With two crowds of people cheering two different teams, the atmosphere in stadiums are gripping. The raucous cheering, the suspense, the sheer joy of your team winning or the absolute sadness of your team losing – the roller coaster of emotions I witnessed and felt at Michigan Stadium is something I’ll never forget. I was determined to be the neutral party but still felt the pulse of the stadium. Winner or loser, sports fan or not, the the thrill to be part of such an adventure is something that shouldn’t be missed.